There are not many books for children that regularly top the list of children’s favourite storybooks or books that you must read to your child before they turn 5 but Where the Wild Things are by Maurice Sendak does nearly every time and it’s fantastic that we kick off the 2015 – 2016 Virtual Book Club for Kids with this book and it couldn’t be a much more perfect book for us and our family. 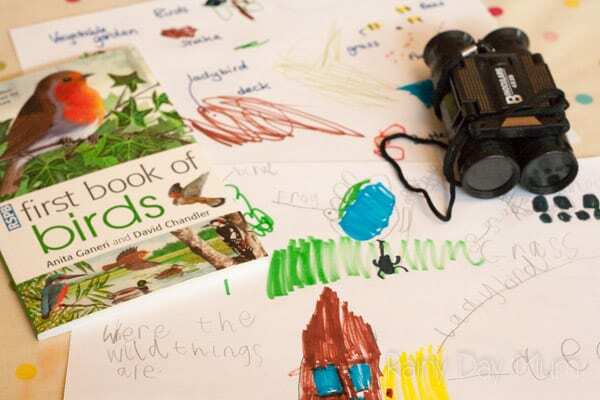 The kids love going on wildlife hunts in the garden and discovering where things live and it doesn’t really matter where you live backyard wildlife hunts are fabulous fun for everyone. But moving on from a simple backyard wildlife hunt and recording where the animals are found and talking about the environment and the reasons why different animals live there it takes the experience from just play to embedding some STEAM activities and some real environmental science into the activities. If your kids aren’t regularly backyard safari explorers it’s worth starting out your activity with a hunt around the backyard – if you don’t have a backyard then choose any other area that you can find distinct habitats on – some suggestions would be – a forest (leaf little, fallen trees, tree trunk, branches), Beach (rock pools, waves, strand line, sand dunes, cliff bottom) or the Park (paths, open grass, flower beds, trees, shade area, wild areas, ponds). On the backyard wildlife hunt look for creatures that you may find – you will be amazed at how many you can find and even just turning over a rock you will find plenty to see and discover. 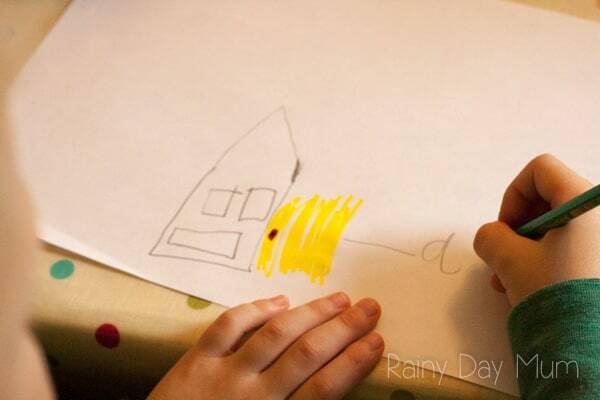 Sit down and with a paper start by adding the most recognisable feature of your environment to the drawing for our backyard habitat it was the house. The kids started by drawing a house and then moving onto the different environments that they saw throughout the backyard. We have decking which is the one area we normally find ladybugs, grass where there are normally beetles, in the vegetable patch we have slow worms and grass snakes, our pond has newts and frogs. The flower beds are filled with bees and butterflies and then the trees are the main habitats of the birds. What is the environment like there? Why would the animal be there? What does the animal eat – is their food in the same place? We had some interesting answers – the Pond was WET, it’s a swimming animal and there is no water anywhere else in the backyard, the frogs eat flies, and it’s not in the same place so Mummy why don’t frogs flies if their food does! Yes, I’m still working on answering some of the questions that it posed. As they sat and mapped the backyard adding in the animals, my eldest child wrote the different environments and the animals that inhabitated them and I added labels to my younger child’s drawing. 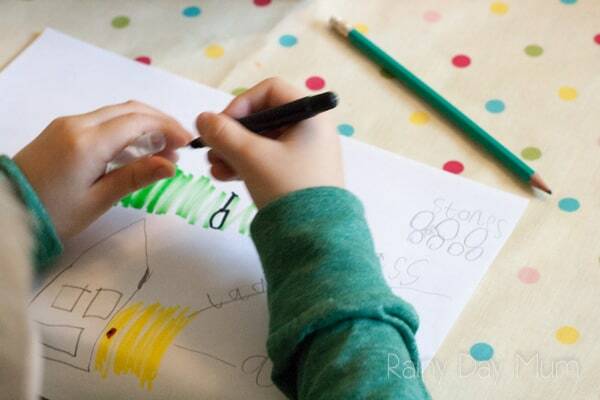 For younger children; you could find a set of stickers of the different animals and use that to draw a basic backyard and add the animals to the environment. Another alternative would be to take a photograph of your backyard and add the animal stickers to the environment. 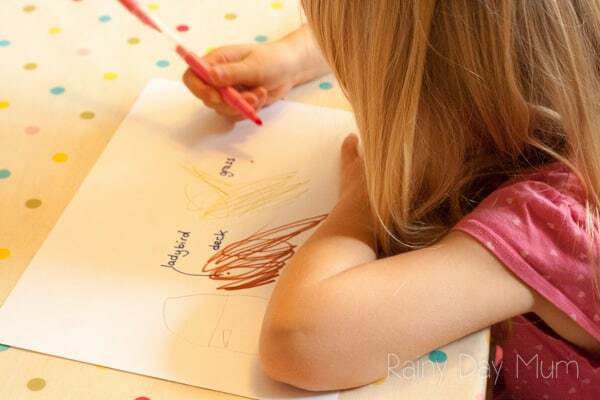 With older children; increase the writing element, get them to write the explanations they have concluded as to why the environments are ideal for those animals. 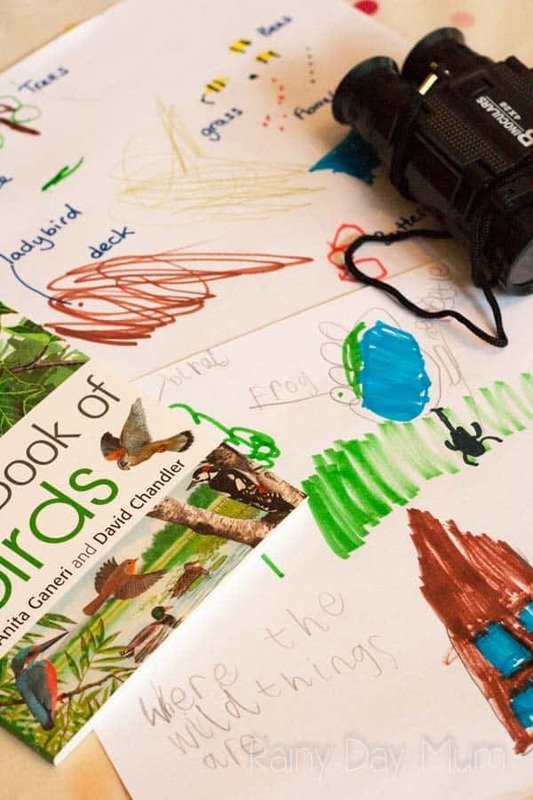 You will notice from our maps, that we have only included generic beetle, frog, snake, butterflies, older children could look up and record the species that they find and keep a record of the different animals that they find over time in each of the habitats that they and you have identified in the backyard. This is brilliant!! I seriously cannot wait to try it with my kids…I love how it combines adventure, art, math, and more! I love the science extension for looking for wildlife outside!